> Movie Posters>Film Posters>French posters>DIAMONDS ARE FOREVER French 23x32 art of Sean Connery as James Bond by Robert McGinnis! 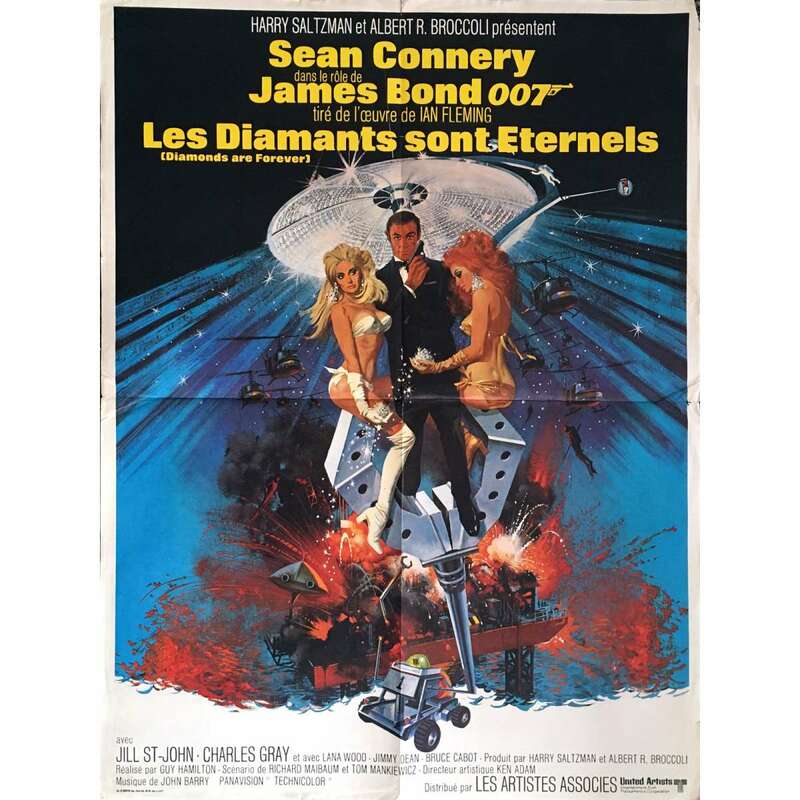 DIAMONDS ARE FOREVER French 23x32 art of Sean Connery as James Bond by Robert McGinnis! A 1974 Re-Release Vintage Theater-Used Folded French 23x32 Condition: Very Good (C6) See our 10 GRADE SYSTEM Page for more information. Diamonds Are Forever (1971) is the seventh spy film in the EON Productions James Bond series, and the sixth and final official film to star Sean Connery as the fictional MI6 agent James Bond. The film is based on Ian Fleming's 1956 novel of the same name, and is the second of four James Bond films directed by Guy Hamilton. The story has Bond impersonating a diamond smuggler to infiltrate a smuggling ring, and soon uncovering a plot by his old nemesis Blofeld to use the diamonds and build a giant laser. Overall Condition: very good (C6). There is a very small tear on the top.